The failed Tibetan uprising against Chinese rule broke out on March 10, 1959 in the region’s capital of Lhasa. Thousands of Tibetans surrounded the summer palace of their spiritual leader, the 14th Dalai Lama, in order to protect him from being abducted by the Chinese army, according to the Dalai Lama’s official biography. 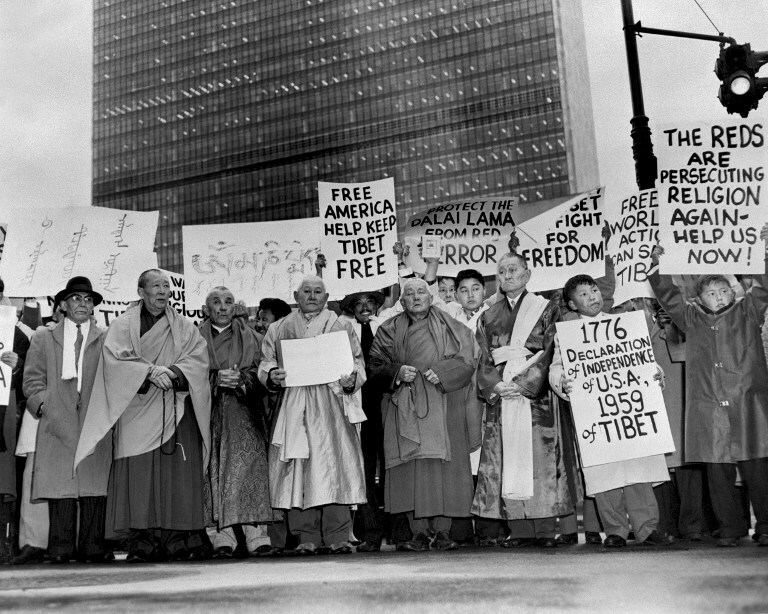 Tibetans demonstrate in front of the United Nations headquarters, on March 31, 1959 in New-York. 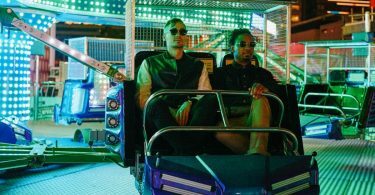 Photo: AFP. The rebellion followed years of guerrilla fighting between Tibetan rebels and Chinese soldiers that began with the occupation of Tibet by the People’s Liberation Army a decade earlier, the enforcement of a long-held claim to the territory. One week later, the Dalai Lama fled the capital disguised as a soldier. Then 23, he escaped on foot to India in a 15-day journey over the Himalayan mountains, traveling by night and hiding by day. 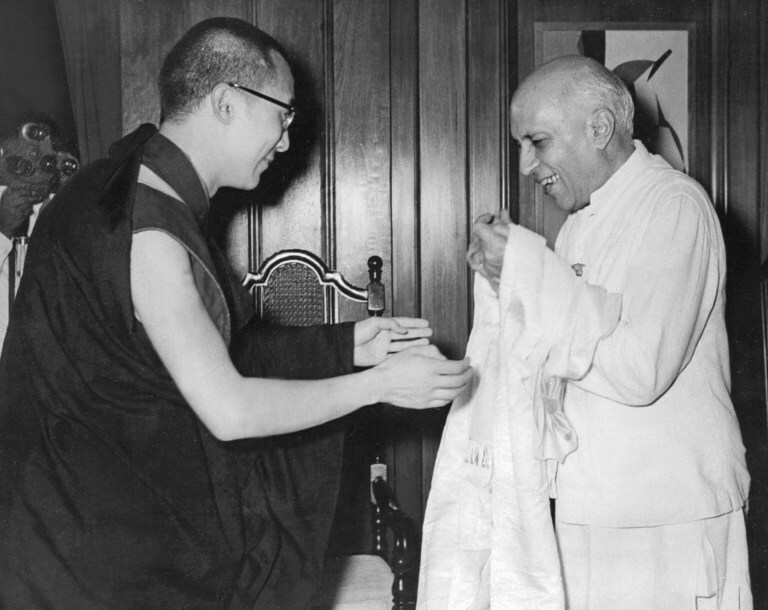 The Dalai Lama (left) offers a traditional Tibetan white sash to Jawaharlal Pandit Nehru, Indian Prime Minister. Photo: AFP. The fighting in Lhasa lasted for three days before the Chinese army ended the uprising by shelling Norbulingka, the Dalai Lama’s Summer Palace. On March 28, then-premier Zhou Enlai announced the dissolution of the Tibetan government. According to the BBC, thousands of Tibetans died in the revolt. “All fighting-age men who had survived the revolt were deported, and those fleeing the scene reported that Chinese troops burned corpses in [Lhasa] for 12 hours,” the British broadcaster reported. China claims that the communist government freed the people of Tibet from “misery” and “slavery” under a feudal serfdom controlled by the Dalai Lama and his followers. It sees the spiritual leader as a dangerous separatist, though he says he only wants greater autonomy for Tibet. The region became an “autonomous region” of China in 1965, but many Tibetans are still loyal to their exiled leader. The question of who will succeed the Dalai Lama is fraught. 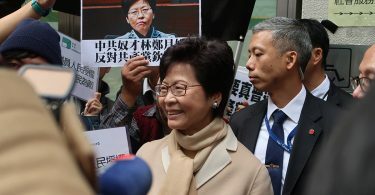 China disagrees with the Dalai Lama about who will be his successor, and insists that it must approve the next spiritual leader. The appointment of two different leaders could split Tibetan Buddhism. According to the International Campaign for Tibet, 146 Tibetans have self-immolated in Tibet and China between February 2009 and March 2017. Self-immolation is a common form of non-violent protest against Chinese rule.